When choosing playthings and park equipment that is suitable for your children, a lot of things need to be taken into consideration. Safety is obviously a major concern, but so is the budget, maintenance and longevity. Trampolines, a fun equipment for children, are no exceptions to this rule. They require little supervision, there is no operation involved, the safety enclosures usually keep the children safe and there is hardly anyone who does not have fun on a trampoline! However, they also present serious injury risks if not chosen or maintained well. The jumpers might fall out if the enclosure gives in, the mat might tear with constant usage, or the metallic frame might weaken due to rust and weathering. With an unimaginably wide variety of different types of these available in the market, selecting the best trampoline can be a difficult choice to make. But with the right set of criteria to guide you with the purchase, the task can become easier. The following sections take you through the what’s and how’s of choosing the best trampoline for your backyard, school or the community park and also offer some of the best rectangular trampolines available in the market. Round vs Oval vs Rectangular Trampolines – Does Shape Matter? While it may appear to a first-time buyer that trampoline shape is simply a matter of aesthetics, it needs some careful thinking. Rectangular trampolines are typically designed to bear more load and can absorb greater impact as compared to round ones. Rectangular trampolines also offer higher altitude to the jumpers. Round trampolines are ideal for comparatively light usage, for example, in the backyard or for a kindergarten playground. The round shape directs all jumpers to the center of the circle and hence it is safer for small children. Rectangular trampolines, on the other hand, offer the jumpers more control over where they want to land. They are usually used for athletic or gymnastic training of children. So if you have a child who is being trained for sporting events, a rectangular trampoline is a good choice. It is also a more feasible option for community parks where older children might use the equipment. 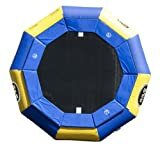 Larger trampolines of this shape are able to accommodate more children without considerable wear and tear and also ensure that children fall over (and potentially injure) each other less frequently. Round trampolines have the advantage of shape, which automatically introduces strength into the construction. Therefore, it needs lesser support in the form of springs, metal frame components and so on, making it lighter and less expensive. Rectangular trampolines, on the other hand, require more careful construction, and very high-quality metallic components go into making these trampolines. Secondly, as they are designed for gymnastic and athletic training, the mat also has to be impact-absorbing but offering a high bounce. All these considerations add to the price of rectangular trampolines. Oval trampolines offer the spaciousness of rectangular trampolines but reduce the risk of getting hurt due to the sharp corners. One major criterion for deciding the size of your trampoline would obviously be the area available in your backyard, playground or gym. If space is not a constraint, you can go for the Olympic size trampoline, that is, the 10 feet by 17 feet model. This variety of trampoline also needs a clearance of 8 m above the frame. The most commonly purchased rectangular trampolines are sized 6 feet by 12 feet. There are smaller options available as well and you should also take into account the number of children who will usually play on it, plus a few more, to finalize the model. Any good trampoline should have a load-bearing but flexible material which has a substantial safety factor. 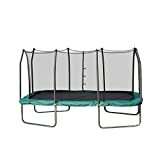 The fabric should be quality polypropylene or canvas, with springs that are rust-resistant and sturdy, but offering a firm bounce. Being cautious about the material used in the trampolines ensures that you invest wisely and accidents are avoided during its usage. This can never be a non-issue, particularly as a trampoline is not something that you (or your children) will be using for a lifetime. It is easy to fall for cheaper alternatives. However, the cheaper the trampolines are, the lesser is the guarantee of their adhering to safety standards. They also are not necessarily durable, and you might have to bear recurring maintenance expenses even for the short duration that your children use the trampolines. While rectangular trampolines can be an expensive one-time purchase, good quality ensures that they outlive your kids’ childhood and still bring you good value for resale. Therefore, while budget is certainly an important constraint, minimizing it to get the cheapest rectangular trampoline is not advisable. Assembly is pretty much the least fun aspect of getting a rectangular trampoline. It won’t be often that you’ll have personnel from the trampoline company visit your place and do the set up for you. And, for those of you who are DIY-impaired, it can be quite the task to put the entire assembly together. Hence, it is best to go for a trampoline with easily assemblable components that you can do with minimum guidance. Whether you are buying a rectangular trampoline for gymnastic training or for a bunch of kids in the neighborhood, safety always has to be a major priority. While it is fun to jump off trampolines on to the ground or into the swimming pool (not that we advise it), it is certainly not the wisest of actions. Therefore, rectangular trampolines to be used for children should always have safety enclosures around them. The trampolines used for gymnastic or athletic training cannot be used to the optimum if safety nets are placed around them. However, even these should conform to minimum safety standards, and the padding over the frame should be such that impact is absorbed and injuries to the trainee who might fall on that part, are minimized. With these criteria clear, we can now see what options for rectangular trampolines the market has in store for buyers. Upper Bounce is a brand synonymous with customer satisfaction, and this rectangular trampoline justifies its reputation. Ideal for some moderate to heavy training as well as entertainment, the Upper Bounce Easy Assemble “Spacious” Rectangular Trampoline is one of the most favored options for its durability, strength and optimum bounce. It comes with a top flex pole safety enclosure that ensures that younger kids using the trampoline are protected from falls. They are also padded so that jumpers do not sustain injuries from colliding against the poles. As the name suggests, it is easy to put together as well as dismantle. It is durable, weatherproof and sturdily constructed. It is supported on four ‘U’ legs that offer additional stability and grip. It has plenty of space for jumping. 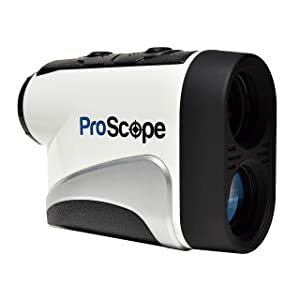 It is priced rather prohibitively for families on a tight budget and might not be the best option if you only need it for non-commercial or in-home usage. The Upper Bounce Easy Assemble is certainly a major investment, but if you anticipate frequent usage of the trampoline by many children, the peace of mind and durability that it offers makes it a value-for-money purchase. An Olympic-sized model, this is ideal for training athletes or for a school gymnasium for a variety of activities. Its construction makes it suitable for use by both children and adult jumpers. Designed to serve both purposes, the AlleyOOP PowerBounce 10’x17’ is a product that justifies its price tag. Go Higher, Safer! 92 Primary Black High Performance Springs + 72 Black PowerSprings = a trampoline with state-of-the-art, adjustable, Patented PowerBounce technology that will improve both shock absorption and bounce performance. Patented Unforgettable overlapping doorway eliminates fall-outs for parental peace of mind. Includes our strongest, easy-to-install, safety net system - rated to 295 lbs. Exceeds ASTM Impact Performance Test standards. Convenient built-in rest zones. Kids can easily rest and wait their turn safely on our reinforced Extra-Thick Pad Covering. Lifetime Warranty! * Engineered with over 50 safety innovations & patents. Family owned by the inventor of the safety net. It uses patented high-performance springs that enhance both impact absorption and bouncing margin. Its overlapping doorway is also a patented design feature which minimizes accidents so that jumpers don’t fall out while playing. The frame extends beyond the enclosed area. It is padded with extra-thick cushioning material and doubles up as a resting area for children between jumping spells while being protected from bumping into kids still on the trampoline. The product comes with a lifetime warranty which makes maintenance much easier on the pocket. The installation is very easy and is assisted by a convenient assembly guide that is included in the package. The many features come at a slightly hefty price, so the trampoline might only be suitable for communally funded parks or school gyms, unless you have the budget for it. If you are a kindergarten teacher or run a daycare center, you need something to make kids get along without having to constantly rush one or the other of them to the ER. Its tested material and construction also makes it perfect for gymnastic training. The AlleyOOP PowerBounce is the best option for such locations, provided that the price is not a constraint. If you are on the lookout for rectangular trampolines purely for entertainment purposes, the JumpKing is a relatively economical and no-frills option. The mat is made of durable polypropylene with a polyethylene netting which is sturdy and does not tear easily. It can easily be assembled by no more than two people. The frame around the mat is foam-padded to offer extra cushioning and reduce impact. Offers good bounce on a fairly spacious (10 feet by 14 feet) area. It is economical and the customer service by the company is prompt. It does not come with a ladder which makes assembly rather inconvenient if you don’t already own one. If you are looking for basic features in a rectangular trampoline along with conformity to safety standards on a budget, this is the go-to option for you. The assembly might be tricky but the performance is quite up to the mark. AlleyOOP products tick pretty much all the boxes when it comes to high-performance rectangular trampolines. The VariableBounce model from AlleyOOP is one of the best trampolines available in the market specifically for gymnastic training. Perfect your high flying tricks! 108 High Performance Black Springs + Patented VariableBounce technology provides a smooth, low-impact landing with a phenomenal bounce. New, advanced safety net design with built-in Fail-Safe backup systems. Engineered with high-quality materials - designed to last. Convenient built-in safety rest zones. Kids can finally rest and wait their turn safely on our reinforced Extra-Thick Pad Covering. Lifetime Warranty! * Engineered with 50+ safety innovations & patents. Family owned by the inventory of the safety net. Its design is such that jumpers get a high bounce with lower impact. This makes it perfect for practicing flying maneuvers in gymnastics. The spring stiffness can be adjusted in accordance with the activity. A lifetime warranty on the frames and poles makes this a value-for-money investment. In regions prone to storms or high-velocity winds, the trampoline might require anchors if it is being placed in the outdoors. If the price is not a restricting factor, then the AlleyOOP VariableBounce is a versatile, durable and high-quality product that can serve for many years without any loss in efficiency. For first-time gymnastics enthusiasts or parents with exceptionally rowdy kids, what you would be looking for in a trampoline is superior design features that ensure safety and durability. The ACON Air 16 Sport Trampoline offers quality and peace of mind with its thoughtful and sturdy construction. Tramp and Enclosure weight 510 lbs. | Tramp height 40 inches. | 8 times cross sewed polypropylene UV treated mat. Galvanized frame pipes both inside and out. | Frame pipe diameter 2.4 inches. | Pipe thickness .1 inches. The area is a spacious 16 feet by 9 feet which is sufficient for training as well as playing. The mat is made of UV-treated polypropylene which is cross-woven eight times, making it strong and durable. It therefore has no single user weight limits. It is supported by 138 heavy gauge 10-inch springs that are rust resistant and designed for high jumps. It is weather-proof and is resistant to snow, heat and damp weather. It is expensive and might not be pocket-friendly for home installation. If safety is a priority for you and you are ready to shell out some extra bucks for reliability and high performance, the ACON Air 16 is a good option to go for. Skywalker trampolines are usually on the more economical side of the rectangular trampoline price range. If you have younger children who could use the space, the Skywalker 8 feet x 14 feet Rectangle Trampoline could be an excellent option. SAFE DESIGN: 80 tightly-coiled springs, 7" long are located around the outside of the enclosure net for added safety. Each spring is made of steel with a rust-resistant coating for a longer life. The green pad is cushioned to absorb impact, ensuring the safety of jumpers who might fall on it. The No-Gap safety enclosure eliminates the possibility of children falling out and potentially injuring themselves. It also has a dual closure system – there is a zipper as well as a latch clip to secure the net better. The frame is made of galvanized steel which is rust-resistant and durable. It is an economical purchase. It is suitable for young children but not for more intense training. 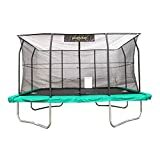 While rectangular trampolines are more expensive on an average, finding one that meets safety standards while being easy on the pocket needs some searching. Skywalker Trampoline is a widely favored option for the budget range. Trampolines are designed for high impact and wear. That does not mean, however, that once installed, owners can forget about taking care of the equipment to preserve its quality and safety for the jumpers. Ensure that the trampoline is placed such that while it is easily accessible and free of any obstructions, it does not involve any collision risk to children. If the area where it is placed is very small, there isn’t sufficient landing space and children, even if they aren’t on the trampoline, might hurt themselves by just running into it. The surrounding area should not pose a fire or electrical shock risk. If there are any open wires, or a barbecue pit close to the trampoline, say in a backyard, it is a pronounced fire risk. You should ensure that no such material is in the vicinity of the trampoline to avoid serious accidents. Weather-proofing is an important aspect of trampoline maintenance. Most good quality trampolines are weather resistant, but you still might want to cover the mat and frame in damp or snowy weather. The safest option would be to dismantle the trampoline and store it away during the wet and cold seasons, but if that is not possible, make sure that the trampoline is covered and moisture or snow does come in contact with its parts. Trampolines are one of the most sought-after playground equipment for their high functionality and relatively less maintenance requirement. However, buying the perfect trampoline necessitates the weighing of options against a number of criteria. Rectangular trampolines are usually seen in gymnasiums for athlete training, but are also great for playgrounds as they are typically larger and accommodate more jumpers. Unlike round or oval trampolines, they do not direct all the jumpers to one point (the center) and hence there is sufficient space for more jumpers to use the mat without falling over each other and getting hurt. Buyers should consider various factors such as area available, budget, utility, frequency of use, size, material and safety considerations before making a purchase. Going for a cheap product while buying a rectangular trampoline can increase your chances of being stuck with a product that is of poor quality, highly susceptible to wear and tear, potentially hazardous, and is not covered by sufficient warranty or after-sales company support. Therefore, an informed choice should be made that strikes the optimum balance between price considerations and performance. Swimming is the first water activity that comes to mind when one says “summer”. However, there are many other ways of multiplying the fun you can have in water. You could either try water sports or create a fun-time activity of your own. A water trampoline is a great way to enjoy a weekend at the lake-house, or to amp up your poolside party by a notch or two. Much like a trampoline on land, a water trampoline consists of a jumping mat attached to a frame, only the frame is connected to an inflatable tube that keeps the tramp set afloat. Kids and adults alike can enjoy water trampolines either as regular trampolines or as a diving board to launch into the water with a splash. The following sections will take you through setting up a water trampoline, caring for the set, distinguishing between trampolines and water bouncers, precautions you should take while using a water trampoline, as well as some of our favorite picks and their reviews. What Are Water Trampolines Made Of? Much like land trampolines, water trampolines are made of a jumping mat of elastic fabric attached to a metal frame using springs. These were introduced in the 90’s as the water-sport equivalent of the popular outdoor equipment. Earlier water trampolines would have a steel tubing as the frame, around which a tube would be inflated for flotation. With advancements in polymer technology and innovation in design, the springs began to be directly attached to the tube. Recent models are therefore free of metal tubing, which leads to a considerable decrease in their weight as compared to their older counterparts. The tube in a water trampoline is made using fabric-reinforced, heavy-gauge PVC (polyvinyl chloride). The tube is joined at the seams using heat or RF (radio frequency) welding. The seams are doubled at the more load-bearing stress points. The material is UV-resistant, which is an essential feature given that a water trampoline generally remains out in the water for the entire season and UV rays from the sun can cause the color of the tube to fade or the material to deteriorate. The springs are directly attached to the tube and are covered with a safety pad. 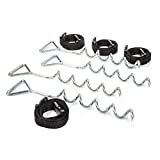 This prevents any potential injury from open metallic springs and provides a cushion around the jumping mat. The entire assembly is never free-floating. It is anchored in place using cables, floating docks or anchors. The anchoring arrangement should be such that the trampoline offers optimum bounce in one position, any vertical impact or wave movement being absorbed by the anchors. Users are required to assemble a water trampoline from scratch. When you buy a water trampoline, the set may or may not contain tools such as an inflator, ladder, valve adapter, anchors, maintenance kit and other accessories. You should check what your order contains, to avoid having to run to the store for a missing piece just before you are ready to take the trampoline to the water. A common confusion among buyers is between water bouncers and water trampolines. While alike in appearance, the two have different characteristics. 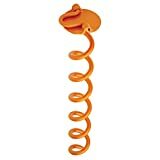 Water bouncers are light and are not attached to the tube using springs. Typically, they offer less bounce but a greater jumping area. 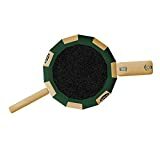 This makes them ideal for toddlers and young children who can safely play on it without jumping higher than would be safe. They do not take more than 15 to 20 minutes to be inflated. Bouncers are often no more than 16 feet in diameter. Due to their smaller and lighter structures, they are also comparatively inexpensive. On the other hand, water trampolines are heavier and more expensive. They take anywhere between an hour or two to inflate, depending on the size. Trampolines are also generally bigger in diameter than bouncers – anything between 14 to 25 feet in diameter. They are designed to give a higher bounce, thanks to the springs in their construction. The effective jumping area, however, tends to vary, depending on the shape. They also last longer than water bouncers and a high-quality water trampoline can serve your family for up to 15 years. A water trampoline has to be assembled from scratch. As an inflated water trampoline is anything between 14 to 25 feet in diameter, it is rather impractical to assemble it and inflate the tube away from the area where you want to place it. The assembly, therefore, has to be as near to the waterfront as is feasible. You should ensure that the trampoline should be placed in water such that a radius of at least thirty feet around it is completely clear. This means that it cannot be floated to close to a dock, or in an area designated for motorboats and other water sports. The location should be such that the wind and water currents are not too strong. The trampoline cannot be placed in very shallow waters. The depth of the water where you intend to place the trampoline should be at least 8-10 feet. This is necessary to ensure solid anchoring of the trampoline set, minimizing the risk of puncturing the tube due to floating or submerged trash or objects like sharp rocks, as well as to avoid injuries while jumping from the trampoline into the water. Choose a flat area near to the waterfront. Unfold the tube and lay out the frame components in a circular arrangement according to the instruction manual accompanying your water trampoline set. Place the jumping mat inside the frame. Attach the mat to the frame using the springs. Next, take the frame attached with the jumping mat to the tube and buckle the two together. Inflate the tube. This can be done by using either an electric pump or a manual pump. It is recommended that you select an electric pump as a water trampoline tube takes a lot of effort and time to inflate manually. A typical water trampoline needs between 1-2 psi of air pressure, so a regular electric pump with 2-3 psi output can do the job pretty well. Note: Do not use an air compressor to fill air in the tube. The pressure delivered by an air compressor is very high and can damage the trampoline tube. An alternate method is to use the exhaust side of a shop vacuum to inflate the tube. Attach the safety pad and ladder to the trampoline set. The next step is to attach anchors to the water trampoline. It is recommended that the anchor weight be at least 150 pounds for stability. Larger trampolines would, of course, require heavier weights. Concrete blocks are the most commonly used anchors. Other options are floating docks and screw-type anchors. Markets also offer shock cords which absorb vertical impact and wave currents, thus stabilizing your water trampoline in rough conditions. The trampoline is now ready to be taken into the water. It is important to note that the water trampoline should never be dragged on the ground to avoid punctures and fabric damage. At least 2-4 people should be available to lift the set and place it in the water. Your water trampoline is now ready for use. Now that you know how water trampolines are used, here are a few of the most popular water trampolines available for purchase. These selections are some of our editor’s favorites on the market right now. RAVE Sports manufactures some of the most favored water trampolines in the market. The 15’ Water Park by RAVE is a water trampoline, log and launch combined into one, which lets you enjoy a number of activities using the same equipment. All components are made of boat-grade, UV-resistant PVC that is long-lasting and can stay in water for the entire season. The package contains an air pump to inflate the setup and a step-ladder for easy access. The trampoline is inflated in less than 20 minutes. The jump surface can accommodate only two adults or four children at the same time. Kids cannot jump off the launch by themselves, it needs an adult to utilize it fully. If you have a small family or not many takers in your group for the trampoline, this is a reliable alternative. The kind of trampoline that can be the showstopper at your lakeside picnic, the Giant Jump by Island Hopper is huge, accommodates many people and has a very thoughtful and innovative design. Island Hopper 25' "Giant Jump" commercial water trampoline complete ONLY. Attachments sold separately. Aqua Sports Technology designed and built the Island Hopper "Giant Jump" water trampoline using the highest quality materials and features available. This is to assure greater product longevity and user safety, the choice of hundreds of camps and resorts world wide. Trampoline inflation tube is designed with state of the art, 9 mm 1100 Denier mesh reinforced PVC material. This high performance material has exceptional tensile, tearing and adhesion strength. It also has advanced UV resistant coating. 5 year "NO SEAM BLOW-OUT" limited warranty. 5 year frame limited warranty. 3 chamber inflation tube guarantees structural strength and assures the tube is always floating. 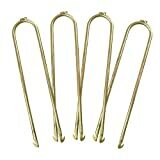 7 anchor-tie-D-rings (3 inside and 3 under tube) for safe and secure mooring. 8 swimmer assist handles for ladder and water assistance. Includes: 25' water trampoline tube, 25' steel hardware frame + springs, jump surface, jump safety pad, (2) heavy duty aluminum 4 step entry ladder, carry storage bag, repair kit, and instruction manual. The 25-feet diameter ensures a large jumping surface, and can hence accommodate more people. The tube is triple-chambered, meaning that the trampoline will keep floating even in case of superficial tears. 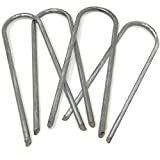 The setup has six anchor-tie D-rings for reliable anchoring. It has two ladders for easier access and twelve swimmer assist handles along the periphery. A repair kit is included in the package for maintenance. The price is on the higher side as compared to other water trampolines and might be prohibitive. If you do not mind shelling out extra bucks for a great design and a versatile recreational equipment, the Island Hopper Giant Jump is perfect for you. Another excellent product by RAVE, the Eclipse AJ-120 Trampoline is a smaller, budget option for more infrequent users. Aqua Jump 120 'Eclipse is 12 feet of spring bouncing fun on the water that will last all summer long. Includes a Hi-Speed Inflator/Deflator for the fastest most convenient set up and take down. Add on! The 12-foot Eclipse Water Trampoline fits a small Aqua Log, small Aqua Slide or Water Whoosh floating mat (sold separately). Limited Lifetime - Because we know it's quality! With a diameter of 26 feet, this water trampoline is large enough for a number of people to play on. 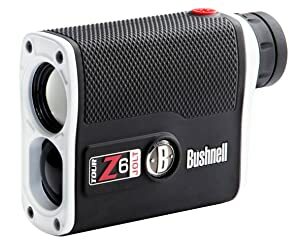 The package includes a high-speed inflator/deflator, which reduces the hassle of having to purchase one separately for this specific purpose. A ladder is included in the setup along with an anchor harness. There is a provision to attach an aqua log and an aqua slide (both to be purchased separately). It does not offer a very high bounce, which might be a limiting factor if users are older. This offering by RAVE is quite inexpensive as far as water trampolines are concerned. While quality is not an issue, you might miss the accessories that come with other models, albeit at a higher price. A water trampoline is a major investment and should ideally last you for at least 8-10 years. However, it also demands regular maintenance and careful usage to preserve its durability. While your water trampoline is generally built to be long-lasting, some simple steps from time to time can prolong its life further. As a water trampoline usually comes out on bright summer days, it is a common concern that the sunlight could cause the color of the tube to fade away. This is highly unlikely as the PVC that makes up the tube is UV-protected, which means it is resistant to dullness from overexposure to sunlight. However, if you still want to go the extra mile and keep your water tramp set shiny, you can purchase a UV protectant that basically acts as a sunscreen for the tube. It has to be applied to the fabric and it reinforces the UV blocking, keeping your tramp set looking brand new. Another curiosity people generally have with regards to water trampolines is about their resistance to weather. 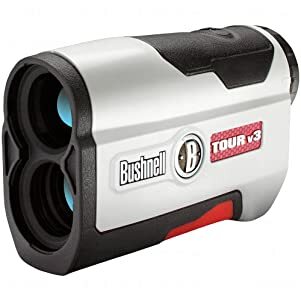 As these are typically a summertime recreational equipment, they are designed to withstand being left in the water for the entire season. As long as the trampoline is anchored properly and guarded against strong wind, it can be left out. It is only during cold weather that it needs to be disassembled and stored away. One regular maintenance activity that should be done while the water trampoline is in constant use is to check for the air pressure. As a rule of thumb, the trampoline tube should be as firm as a basketball. Regular use and changing temperatures can cause the air pressure to diminish somewhat and therefore the tube should be inflated to the optimum pressure level at regular intervals. Keeping the tube well-inflated also prevents rodents like muskrats from chewing on your water trampoline. A fully inflated tube surface means that they cannot find enough loose material to grab on to with their teeth, thus protecting your tramp set. Water trampolines can also be used in saltwater. The tube material as well as the metallic frame maintain their structural integrity even in saline conditions. However, the springs might need replacing from time to time. When the water trampoline has served you for the season, it is time to store it in safely. It should be taken out of the water by lifting, not dragging, just as it is done while floating it in. It should be cleaned with soft water and a mild cleanser. This cleans away any grime it might have accumulated in the water. Ensure that the cleanser is not petroleum or vegetable-based as it can react with the PVC and damage it. The tube can now be detached from the frame and mat. The latter can be either dismantled into components or stored as it is by propping up against a wall. The tube should be deflated using the air pump or a specialized deflator. This is also a good time to check for any tears or punctures on the tube. It can be done by pouring soapy water over the tube and checking for small bubbles anywhere. If there are bubbles, it is indicative of a puncture. It can be repaired easily using tools from the maintenance kit that is often sold with the trampolines. The puncture can be covered using a sufficiently large patch and glue from this kit. The area where the puncture is identified should be cleaned with rubbing alcohol. Glue applied to this point as well as the patch. Wait for a few minutes to let the glue thicken a little, at which point it gets greater adhesive strength. The patch is then placed over the puncture and rubbed with a hard, smooth, non-abrasive object to make it stick. The patchwork should be allowed to dry for at least 24 hours before either inflating the tube again or storing it away. After the cleaning is done, the tube can be flattened and rolled like a sleeping bag. It should then be placed in a plastic container to protect it from dust and pests such as rats. Water trampolines are one of the best ways to enjoy water-based activities during the summer. They combine the joy of jumping on trampolines with the added thrill of splashing into the water. Regular maintenance is essential to preserve the durability of a water trampoline. While they are built to last, routine activities like cleaning, proper storage and handling can maintain the trampoline in its brand new condition for a longer period of time. While there are many options available in the market, your selection has to strike the optimum in price and quality. Being too tight-fisted with your money is not advisable when it comes to water trampolines as these are a long-term investment. Finding the right water tramp set for your requirement can offer you years of summertime enjoyment with just a little upkeep every now and then.